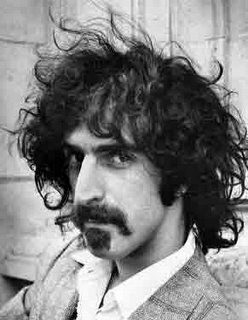 Frank Zappa from "There Is No Need"
Zappa Wiki Jawaka contains 4,896 articles attempting to record the life, times and music of Frank Zappa. There is always room for more articles so please feel free to contribute. Use the links on the left and below to start exploring or type something into the Search box - Go will take you straight to the page if it exists and Search will find all references to your query. About Frank Zappa: The life and times of Frank Zappa. The Project/Object: The works of Frank Zappa. Supporting Cast: The people that played a role in Frank Zappa's life. Help with editing pages: When in doubt, visit these pages first. GENERAL DISCLAIMER: wiki.killuglyradio.com is an unofficial fan-made community dedicated to Frank Zappa. We are non-profit and not in any way endorsed or connected with The Zappa Family Trust and/or Zappa.com. The Zappa Family Trust and Dweezil Zappa have no formal or informal association and in no way condone or support our efforts to further enhance knowledge of and appreciation of the many and vast talents of Frank Zappa. Our efforts are simply nothing more than a fan's efforts to broaden the knowledge and appreciation of the many works of Frank Zappa. As such, this site exists solely as an educational tool to help achieve that goal. This page was last modified on 28 January 2012, at 10:30. This page has been accessed 6,085,146 times.